Treat someone special to the most incredible Valentine’s experience here at Wynyard Hall. 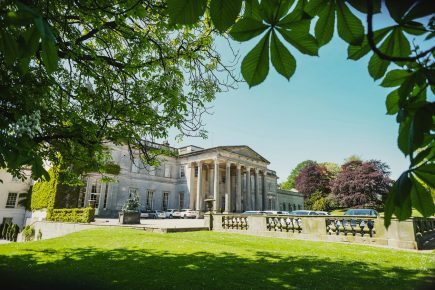 Then relax in Wynyard Hall’s tranquil lakeside spa. Includes an overnight stay, 5-course tasting menu, spa time for two with your choice of 30-minute treatment, plus bubbly and chocolate covered strawberries on arrival. Full pre-payment required at the time of booking. For more information and to book, please call the events team on 01740 644811 (option 6).